The MFA Writers Workshop in Paris constitutes an intimate creative apprenticeship that extends beyond traditional classroom walls. Over two years, students and faculty convene regularly in Paris for five intensive ten-day residency periods (held biannually in January and July). 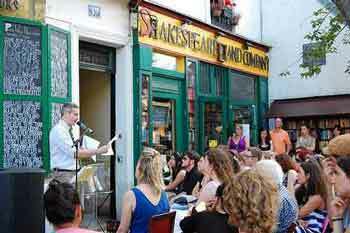 While in residency in Paris, students participate in a vibrant community engaged in all aspects of the literary arts, including workshops, craft talks, lectures, individual conferences and manuscript consultations, as well as a diverse series of readings, special events and professional development panels. The city of Paris itself—with its storied literary history and rich cultural attractions—provides an ideal opportunity for students to learn the art and craft of writing, immerse themselves in the creative process, and live the writer’s life. During the intervals between residencies, students pursue focused courses of study, completing reading and writing assignments under the close supervision of individual faculty members. These ongoing dialogues with faculty are tailored to specific student interests and needs; students are mentored by a different professor each term and work closely with four different writers during the two-year program. Unlike the traditional MFA, the low-residency program offers both freedom and rigor, and provides a productive and inspiring balance between the intense and stimulating community of each residency and the sustained solitary work completed in the intervals between. Students are expected to complete substantial writing and reading assignments each term, regularly submitting packets of work in exchange for detailed feedback and critique. Graduating students leave the program with four new literary mentors and a portfolio of letters written by acclaimed writers in response to their work.